Too much chocolate? No! I don’t think so! Or, at least I didn’t think so….until I read this book! Unfortunately, John has to learn the hard way that there is such a thing as too much chocolate! Bummer, right? I mean, who wants to eat broccoli instead of chocolate? No one! This is a cute story. It’s so fun, and it teaches a good lesson too. 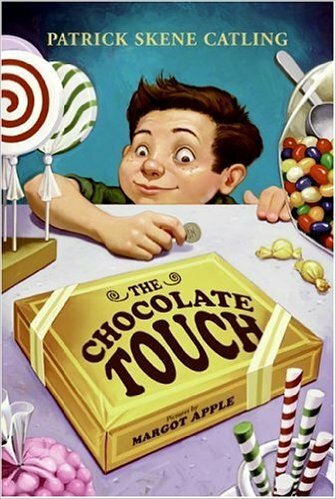 It’s well written, engaging, has good character development, and my kids loved it (I started reading it to my girls-7 and 9, and my boys, 13 and 11, joined us…they loved it too!). It’s a great read-aloud! And, I guess even the big kiddos enjoy it! 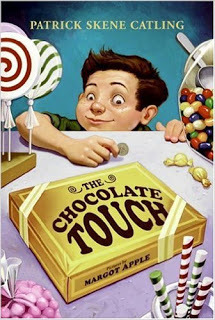 I loved the descriptions in this book; I could just picture the expressions on the characters’ faces, and almost taste that delectable chocolate. And what is even better? This book is totally clean; there is no profanity, violence, or “intimacy” (Yay! ).